Nothing says love better than these breathtaking white roses. Send this arrangement for your anniversary, and your loved one will know its true. 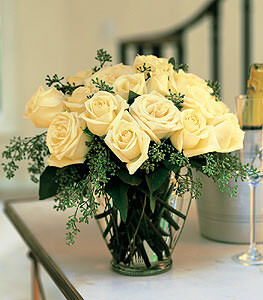 Medium stemmed white roses with seeded eucalyptus are delivered in a clear glass vase.